The Wright Heart Center at Ellis Hospital is one of only three programs in the Capital Region authorized by the New York State Department of Health to perform cardiac surgery. Ellis Cardiothoracic Surgery is an Ellis Medical Group practice of experienced, board certified cardiothoracic surgeons. Drs. 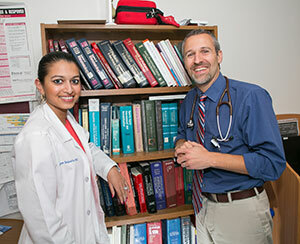 Herbert Reich, Kyril Choumarov and Chanderdeep Singh treat heart conditions using advanced surgical procedures, as well as minimally invasive techniques that can shorten recovery times and reduce complications. Cardiac surgery patients receive specialized care in Ellis' state-of-the-art Intensive Care Unit, featuring the latest telemetry and monitoring technology. Our cardiothoracic surgeons are on call 24 hours a day to deal with complex, life-threatening emergencies. 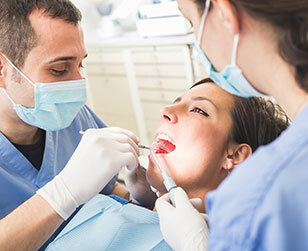 We also schedule surgical treatments according to your needs. Ellis has teamed up with MVP and CDPHP to create an innovative program called the Ellis Surgical Quality Commitment. A first for the state, it promises to deliver the highest quality of surgical care for coronary bypass surgery patients. The goal of the program is to reduce complications and readmissions, and lower healthcare costs. The program involves unprecedented collaboration between a hospital and health insurers to assume the costs associated with hospital readmissions related to coronary bypass surgery. * Patients agree to become active participants in their own care: to learn about their condition, follow instructions and monitor their recovery. Talk with your cardiologist and health insurer, or call us for more information about this new program. *The Ellis Surgical Quality Commitment program currently applies to only MVP and CDPHP patients undergoing coronary bypass surgery at Ellis Medicine. Certain terms and conditions apply. Call 518.243-4063 and ask for program details. Ellis Medicine is a member of The Society of Thoracic Surgeons, an organization comprised of more than 7,400 surgeons, researchers and healthcare professionals who are dedicating to providing the highest quality thoracic surgical procedures. 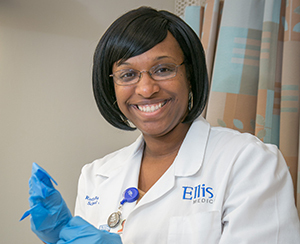 Ellis participates in its national database for continuous improvement, clinical research and evaluation of performance.